Over 60 chemical plants and oil refineries sit in a 15-mile-wide section outside town. A neutrino detector built into the largest man-made underground cavity in the world. The purported world's shortest international bridge connects a homeowner in Canada to his backyard in New York. Once a notorious prison known for inhumane practices. 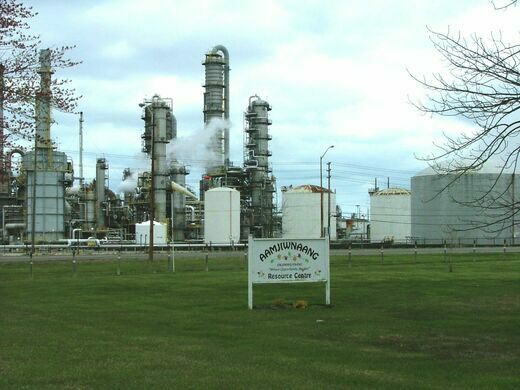 The most at-risk place in Sarnia is the Aamjiwnaang First Nations Reserve, home to a few hundred Chippewa, which is surrounded by petroleum refineries. The close quarters mean that factory accidents come at a high cost. Daycares, schools, workplaces, and public parks have all seen waves of illnesses that residents blame on refinery spills. Authorities from groups like Dow Chemical, Sunoco, and Shell have dismissed health and quality of life complaints as anecdotal and unrelated to their plants on the edge of town. 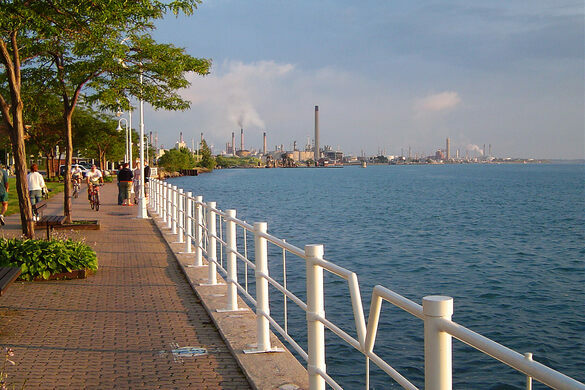 Environmental groups from Sarnia continue to protest and petition the petrochemical industry in an effort to clean up the town they love. In recent years the air quality index has improved, with only five smog days in 2009. 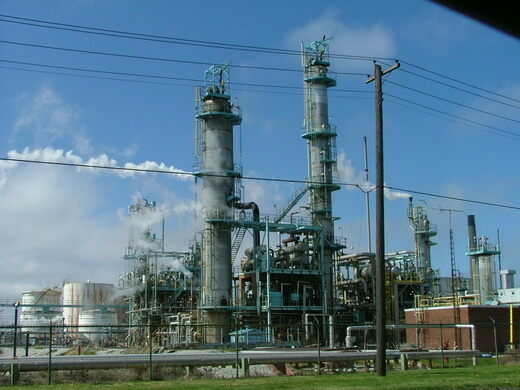 Tours of the chemical factories are available. 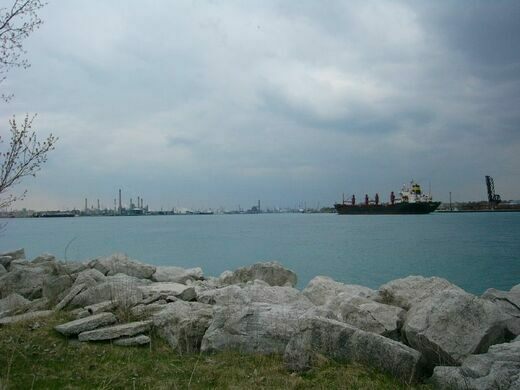 A place for ship-lovers to watch the passage of freighters traversing the Great Lakes while learning about their history. This small museum is dedicated to making sure the history of the natural ice industry doesn't melt away. What was once the largest NFL stadium is now an abandoned ruin. Standing guard on top of an old, vacant ice cream shop used in the movie "8 Mile." This large pile of traveler-curated rocks by the dry lakebed is a longstanding tradition on the Old Mojave Road. This unassuming building produced some of the world's most famous bells.